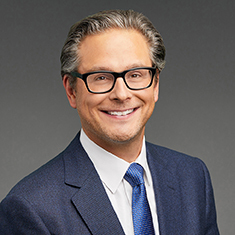 Michael A. Jacobson is the chairperson and a senior member of the firm's global Commercial Finance department and an ex-officio member of the firm's Executive Committee. His practice encompasses a wide variety of areas in commercial finance, including senior, first lien, second lien, unitranche and mezzanine financings and structures. Michael represents issuers, lenders and investors in cash flow and asset-based transactions, leveraged buyouts and build-ups, recapitalizations, restructurings and workouts. He has extensive experience negotiating complex intercreditor arrangements, and routinely represents agents, lead arrangers, lenders, asset managers and other investors (both regulated and non-regulated) in bilateral, clubbed and broadly syndicated deals, unitranche structures (including "first out, last out" arrangements), senior secured and second lien credit facilities, and cross-border financings, as well as investors consummating equity co-investments and equity "kickers." Michael's practice spans an array of industries, of particular note health care, software and technology, and sports and entertainment. Michael previously served as a member of the firm's Board of Directors.